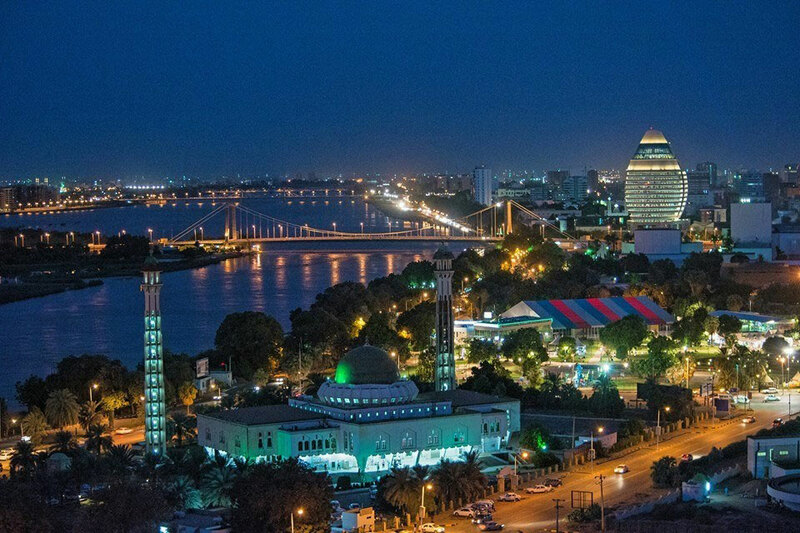 Khartoum features a hot desert climate with a dry season occurring during winter, Khartoum is one of the hottest major cities on Earth, with annual mean temperatures hovering around 30 °C (86 °F). The city also had hot winters. In no month does the average monthly high temperature fall below 30 °C (86 °F). This is something not seen in other major cities with hot desert climates. Sudanese cuisine has various influences, but none of them is dominating the regional culinary cultures. Among these, there is the Egyptian cuisine, the Ethiopian and the Turkish (meatballs, pastries and spices), but there are also numerous dishes that are specific to all Arabian nations. Foul, made from fava beans, is a common dish. Fresh fruit and vegetables are very common. Local Sudanese breads are Kissra, a bread made from durra or corn; Aseeda, a porridge made from wheat, millet or corn; Gurassa, a thick bread from wheat flour similar to pancake, but thicker often paired with a wide variety of stews,. Some Eastern Sudanese dishes are Mukhbaza which is made of shredded wheat bread mixed with mashed bananas and honey, and Selaat, which is lamb meat cooked over heated stones and Gurar which is a kind of local sausage cooked in a similar way to Selaat. One of the popular dish from western Sudan is Agashe, a dish prepared with meat seasoned with ground peanuts and spices (mainly hot chilli), and cooked on a grill or an open flame. One of the main attractions is Sug al Naga (The camel market) North of Omdurman, where you can select your meat of choice and then hand it over to one of the ladies to cook it for you in the way you prefer. As for beverages, Sudan have several distinct beverages that are made from some fruits grown in Sudan, such as Tabaldi, Aradaib, Karkadai (hibiscus tea, served hot or cold), and Guddaim. Coffee is a popular drink consumed in Sudan. The strong Sudanese coffee is served from a special tin 'jug' with a long spout, known as a jebena. The coffee is sweetened and often spiced with ginger or cinnamon, and drunk by tiny cups or glasses. Tea, including different fruit teas and herbal teas, such as karkaday (hibiscus tea), is also popular. In Ramadan (The Islamic fasting month), one of the signature drinks is Hilumur, which is made from corn flour and spices. Other beverages consumed during Ramadan include Aabrai Abiyad and Nashaa, which are also made from corn flour. Food is one of the ways Sudanese show their hospitality to their guests even the poorest families will try their best to serve many different dishes and large portions so if you visit a Sudanese family try all the dishes and eat as much as you can and they will feel so happy and honored. The National Museum of Sudan The largest museum in Sudan, Founded in 1971, it contains works from different epochs of Sudanese history. the sea is a gorgeous piece of the country’s natural environment. With crystal clear waters and some of the most interesting species of fish and stunning coral reefs, it is no wonder that the Red Sea has become particularly busy in the past few years. There are many lovely resorts in the Port Sudan and Erkowit areas for travelers who would like to extend their stay at this beautiful and historically significant body of water. One of the largest national parks on the continent, covering a grand total of over 2500 square miles, Dinder National Park is Sudan’s pride and joy. Perfect for adventure activities like hiking and wildlife safaris, the park is a nature lover’s heaven. Home to such wild animals as lions, elephants, kudu, leopards, and antelopes, as well as myriad different bird species, the park seems like something out of a beloved children’s book. The Afra Mall has a bowling alley, a movie theater, and a Turkish restaurant. It doesn’t compare to malls in Europe or the Gulf, but it does provide one-stop shopping for locals and tourists. Small vendors of every type line most streets in Khartoum. Many sell fruits and vegetables, as well as items for the home, and souvenirs. Shop around for the best prices, and always bargain. Those are found all over Sudan, Vendors sell fruits, vegetables, and a variety of meats. Prices are much lower than grocery stores in town. You’ll see a colorful and fascinating mix of ethnic groups. For authentic souvenirs try Souk Omdurman. A variety of shops offer local handicrafts. Bargain is so normal in local markets, so go for it. It will make your experience more joyful and who knows you may even get yourself an excellent deal. Public transport in Khartoum consists of minibuses which cover most destinations within the city and operate throughout the day and late into the evening. Private taxis are available. Motorized rickshaws, locally referred to as rakshas, provide a cheaper mode of private transport. Rickshaws are best used only for short trips within Khartoum. For trips where one needs to cross the Nile it is better to use a taxi or minibus. 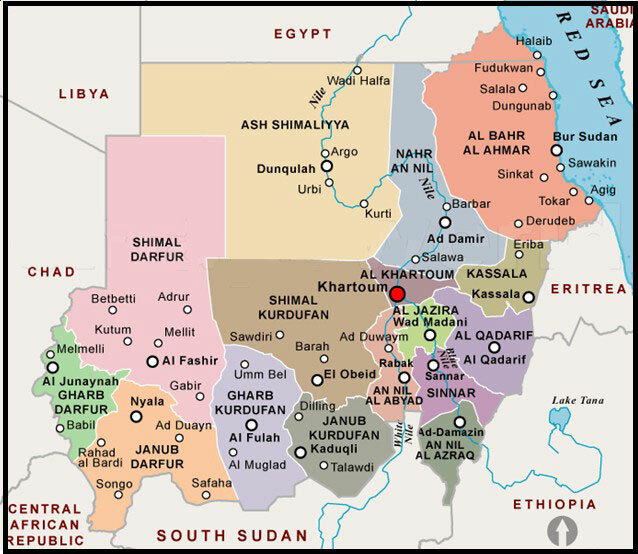 Travelers who want to get around at their own pace can hire a car in Khartoum. Car hire companies can also provide tourists with a local driver for an additional fee. All photos are taken from Google credit goes to their original photographers.